Dr. Niebur is President and CEO of Origin Agritech, Ltd. 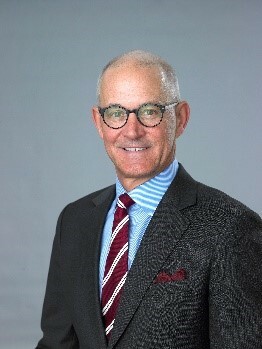 Prior to joining Origin, he served DuPont Pioneer as vice president and general manager with strategic oversight responsibility for China, East Asia and Oceania. Dr. Niebur has been in the seed business for more than three decades, beginning his career as a corn geneticist in Princeton, Ill. He went on to gain extensive global experience, first overseeing research and development while living in Europe, then returning to North America as the company's global vice president for R&D, and finally moving into business operations managing seed businesses. In 2015, Dr. Niebur was named as one of 50 people "Shaping the Future of the U.S.-China Relationship" in the Pacific Power Index, publicized by Foreign Policy Group. Dr. Niebur was instrumental in integrating technologies into plant genetics programs and was granted several patents which led to the commercialization of more than 30 branded products during his scientific career. Dr. Niebur holds both his Bachelor of Science and Master of Science degrees from Iowa State University. He earned his doctorate in plant breeding and cytogenetics from the University of Minnesota.